Since setting up, we have started working alongside a fabulous new British manufacturer (trade secret, sorry!). Blossoming themselves, they are a relatively small business in comparison to some of the corporate companies we have dealt with in the past. But, as the saying goes, ‘good things come in small packages’ and whichever wise fellow uttered those words, proved right in more than one way this week. Our amazing manufacturer sent us lots (and lots) of small packages, filled to the brim with our beautiful new range of products and prints. All hand finished with care and love, they look absolutely incredible – you can take our word for it! We have 2 entirely new products that we hadn’t actually ever even seen before, so delivery day was a tense but exciting one. 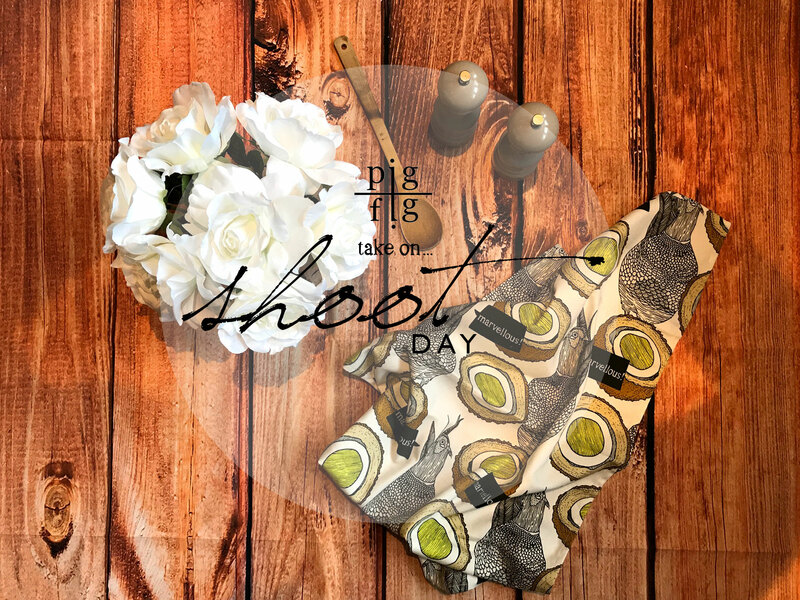 Aprons and Double Oven Gloves are the new additions to the Pig & Fig shop, with the Teatowels being a higher quality and featuring a new ‘hanging loop’ that we decided to add for a bit of practical pizzazz. Our studio also plays resident to two kittens, which you will probably see featuring in the corner of our snaps – so introductions may be in order! At Pig & Fig our team is driven and inspired by bringing high Quality, thoroughly British products, with a touch of humour and wit about them, too. We try our best to translate this in everything we do, including our shoot – which is easier said than done! 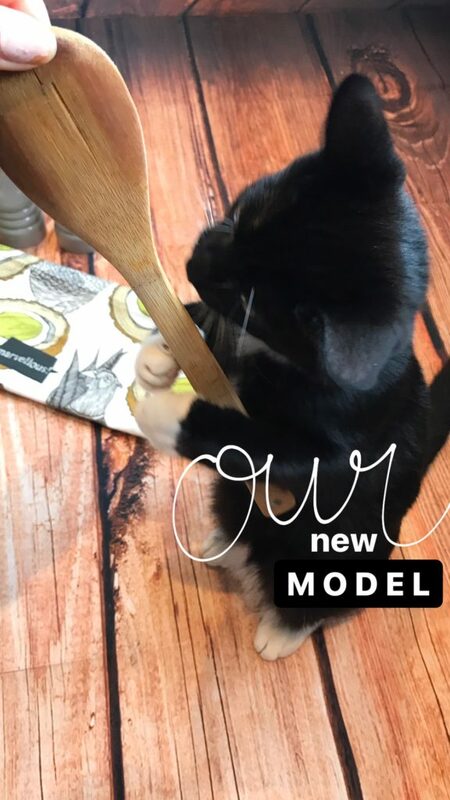 Here are a few behind the scenes sneaky peaks of the product shoot and our feline team.